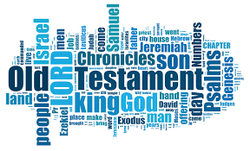 This course surveys the historial and poetic books of the Old Testament (Genesis to Song of Solomon), and gives special consideration to the sovereignty of God in creating the world, His plan of redemption, and practical application to everyday Christian life. This course is a survey of the books of the major and minor Prophets of Israel in their historical and cultural context. They are studied in order to understand their general content and outstanding features; to discover the place of each book in God's total, progressive revelation; and to apply the message of each book to daily life.